We call ourselves a community because community is what we are all about. We enjoy being together, whether at services, or at socials, or at adult ed classes. We care about each other; we're there for each other. We don't claim to be warm and fuzzy; we just are. A 'stranger' to us is just a long-lost relative who found her or his way home. But don't take our word for it; come see for yourself. To contact us, or sign up for our e-mail blasts, please fill in the form below. A Happy Pesach to all! essential downloads, and cleaning guidelines. Click here. 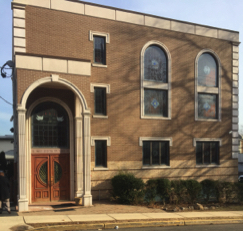 ARE AT THE JCC OF FORT LEE AND BEGIN AT 9:00 A.M.
SERVICES ON SUNDAY ARE IN OUR SANCTUARY, BEGINNING AT 9:30 A.M.